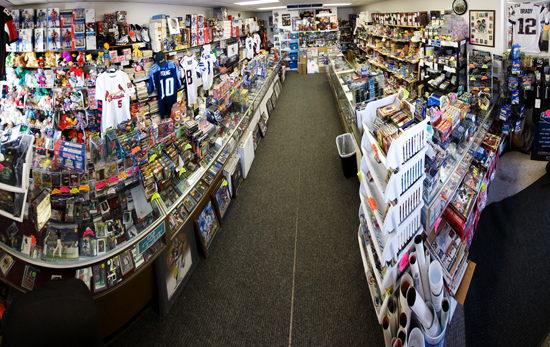 Every month, Upper Deck spotlights one of our hobby retailing partners and some reasons why you need to visit their store, right here on our blog. If you haven’t been to a card store lately and are in Utah, make sure to visit our Retailer of the Month. Rodney Eastman, or Mr. E as most know him, began collecting cards when he was 11 years old and continued until he was a young adult. When he realized he would be serving his country in the Vietnam War, he wondered what he would do with the large collection of vintage baseball and Mickey Mantle cards he has amassed over the years. After careful planning, he decided to hide them under the floorboards of his house for safekeeping. When he returned home from the war, he found that sheetrock had been poured over the floorboards, sealing the fate of his cards underneath which would be worth thousands today. It was a devastating loss for him and he began the slow process of rebuilding his collection again. When he met his future wife, Michele, he introduced her to the hobby. They enjoyed passing the time by opening a box of cards while dining in a restaurant. Their collection grew immensely with the decades of collecting. 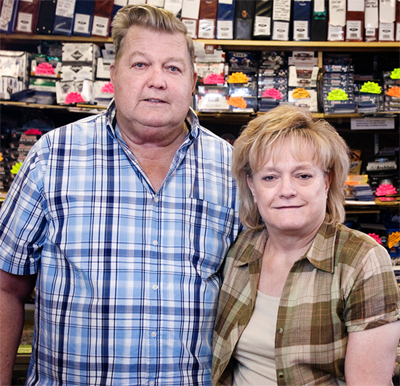 It only made sense for Mr. E and his wife to open a shop and share the hobby with others. 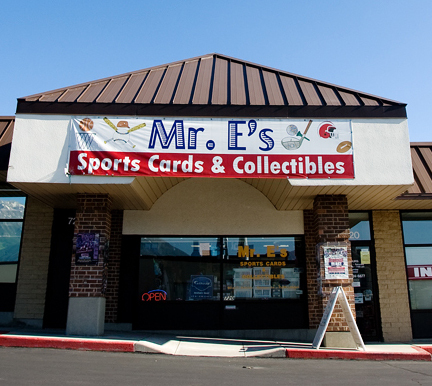 Mr. E’s Sports Cards and Collectibles opened in 2003 and has served as the only sports card shop in the Utah Valley area with customers visiting from all over the state. Every two months, Mr. E hosts a card show where collectors and dealers set their cards on display at tables to buy, sell, and trade cards with others. 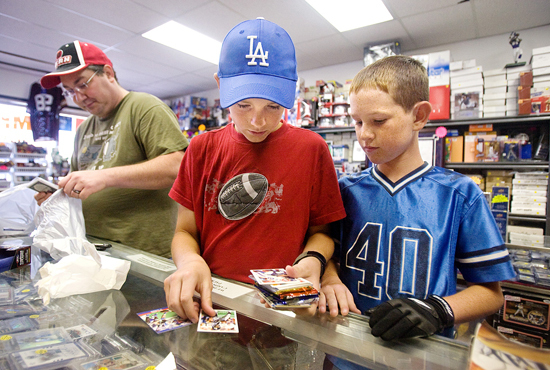 At the card shows, giveaways and drawings are given and everything in the shop is 10 percent off. The next card show is set at Mr. E’s on July 18 from 10AM to 5PM with a raffle drawing for a Troy Aikman autographed jersey along with other prizes and gift cards. Mr. E’s card shows free to the public so make sure to visit. One of the many high quality collectible items at Mr. E's. Mr. E owns a variety of items that sports fans would have to see to believe. For example, he has an UD authenticated Kobe Bryant three-peat championship leather jacket from 2002. They also have several autographed memorabilia pieces on display such as an Upper Deck Authenticated Jack Nicklaus framed piece from the 100th U.S. Open. He also has autographed basketballs from the likes of Michael Jordan, Kobe Bryant, and Shaquille O’Neal. You will also have to see the authentic autographed jerseys from players like Tom Brady and LeBron James. More than anything it’s just fun to see what people are opening. Many of Mr. E’s customers have gotten lucky by finding some amazing cards. 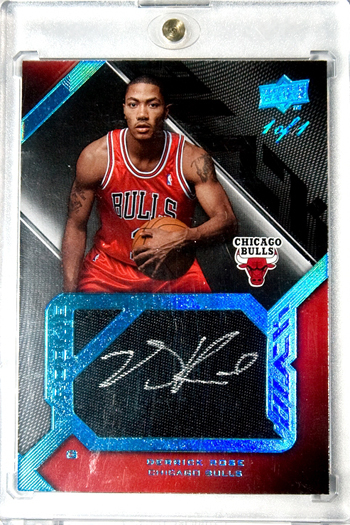 Just recently a collector pulled a 1-of-1 Derrick Rose Autograph card from 2008/09 Upper Deck Black Basketball. Stores like Mr. E’s are the heart of our hobby, and if you get the chance to visit this store in Utah, you’ll definitely agree. Just from looking at the picture above, it’s clear you can get lost there for hours looking at everything they have to offer! I love that place even though he did get me hooked again on an old hobby! Thanks for sharing Upper Deck! Great Place! I love how Mr. E throws in protection for your cards. 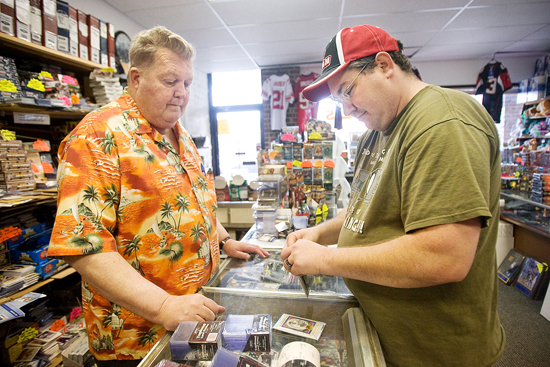 He cares about his customers and the cards they open by giving protection for the cards you buy. Always fun to break open a box of cards at his store.. or two.. or three. You get the point. A must stop of you collected cards at one time or currently. Great store! Always gives me good deals on my purchases. Mr. E is there to share his hobby, not rip you off.